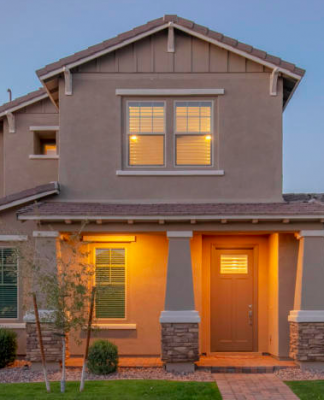 This former model home is located in the gated Tapestry subdivision at Vistancia. 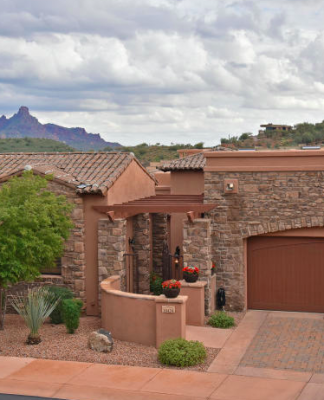 Lush landscaping and beautiful stonework greet you when first see this home. 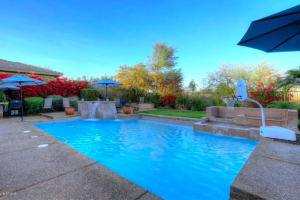 Gated courtyard with a fantastic water feature immediately puts you at ease. Gorgeous curved foyer with inlaid tile, arched doorways and a beautiful formal dining and living room on either side. 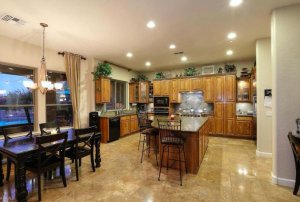 Stunning gourmet kitchen with rich designer cabinets, tile backsplash, granite counter tops, large seating island, built in desk area and a perfect spot for a breakfast table all over looking the family room that is anchored by a cozy fireplace. 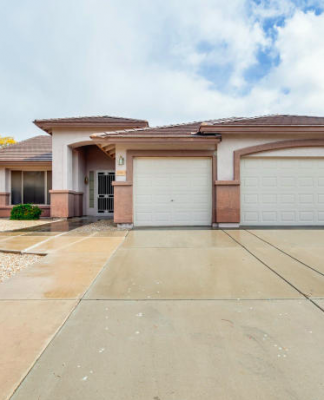 Large master bedroom with spa like en suite bath featuring a snail shower, dual vanities, huge soaking tub and two walk in closets! 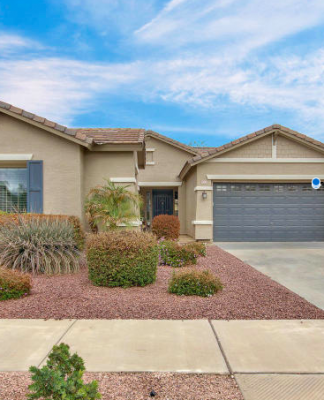 Outdoor living really shines in this home with an oversized covered patio, Built in BBQ, fire pit, phenomenal pool with gorgeous water features, lush landscaping and a view fence overlooking the discovery trail! 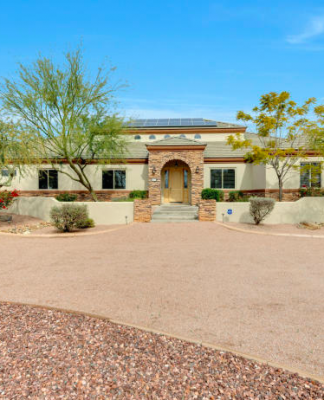 This home is just steps from all of the world class amenities that Vistanica has to offer. 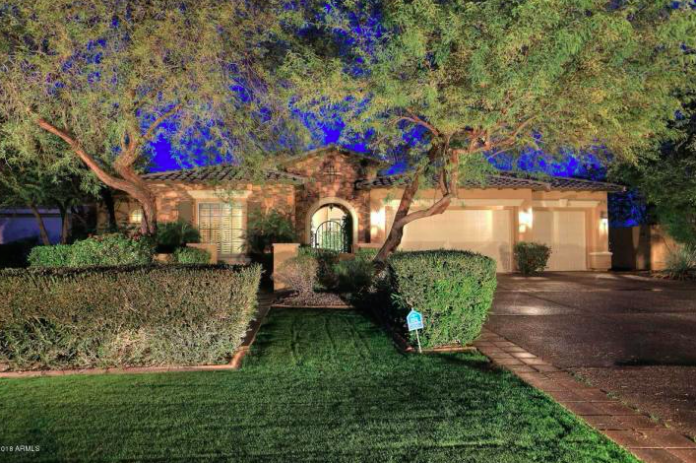 Exceptionally maintained and well cared for – this home is truly special. Well maintained, original owners. 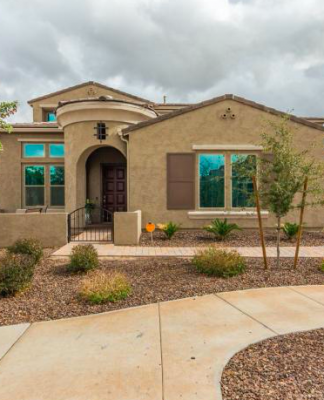 3 bed, 2.5 baths in Fiesta @ Desert Ridge. 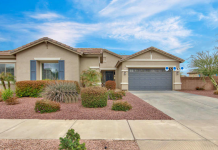 Easy access to 101 & 51, close to lots of shopping & dining. Property has no other home behind it! Backs to community walking path & grass area. 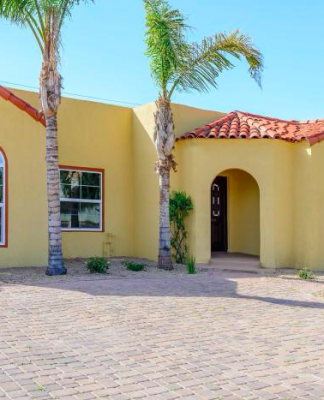 No carpet in this home, enjoy your private covered patio and great outdoor space. You have two parking spaces in the garage and you can park 2 cars right outside the garage as well. No need to use the street.